What we know: Last weeks episode was especially creepy. A farmer found a mare dead in its stall and inside was a corpse of a woman. Margo is finally inserted into the show as having been tormented by her brother. She then seeks therapy from our dear Hannibal. While doing the autopsy Jimmy and Brian find a live bird inside of the dead woman. Will feels that the person who killed the woman and put her in the horse knew her and also knew that the horse was dying. Placing the body inside of the horse was meant as a rebirth. Will has gone back to Hannibal for therapy and Hannibal was expecting him, Will still holds hatred for Hannibal and still dreams of killing him but won’t because he finds Hannibal interesting. 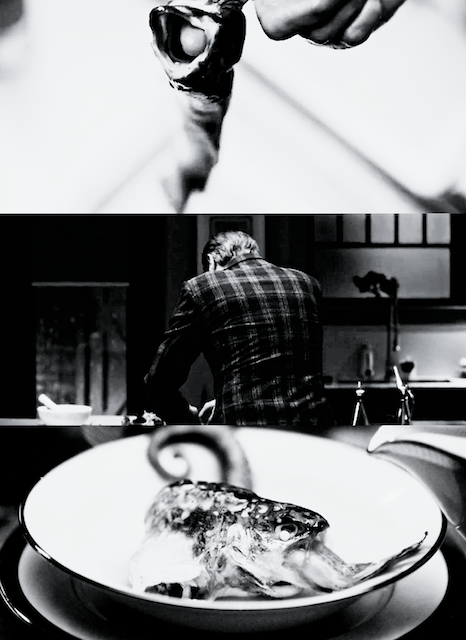 This seems to intrigued Hannibal as he has a fascination with Will as well. 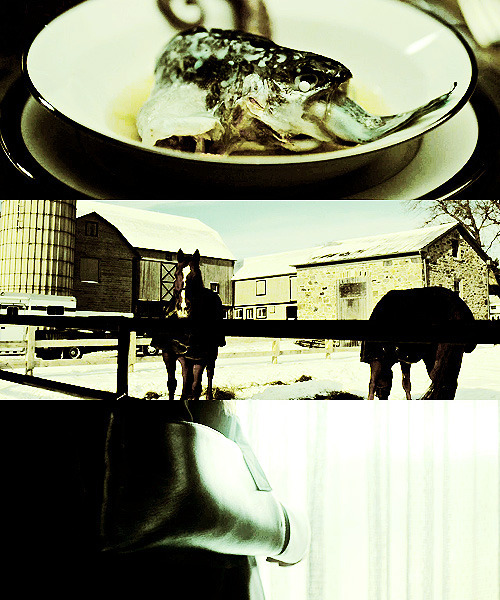 Will questions a man named Peter who takes care of a LOT of animals at the stables (some farm animals, some exotic). Peter was kicked in the head by a horse years ago and it shoes in his cognitive abilities. The BAU interviews a social worker of Peter’s. Upon him being frustrated with the questioning Jack tells them to let him go. When Peter gets back to the stables his cages are in disarray and all of the animals are gone. The social worker is there (hammer in hand) and blames all of these events on peter. (Even the deaths of 15 women that were found buried in a field by the BAU). When Hannibal and WIll arrive they find Peter sewing up another dead horse. Will ask Peter is the social wtorker in there and Peter tells them yes. Will thinks that the social worker is dead and upon almost leaving with Peter, Peter tells Will that he didn’t kill the worker. Will goes back and sees the social worker climbing out of the horse. 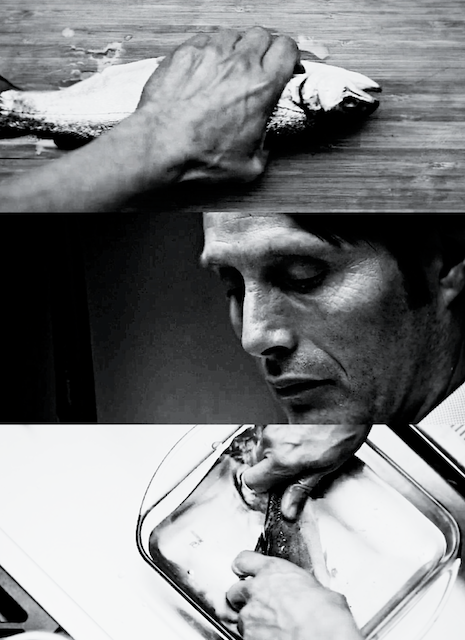 Will hold a gun to the man and Hannibal talks Will out of shooting him as, “It won’t feel like killing me”. Pontificating: I think the primary reason of this episode was to introduce Margo Verger. Margo is a staple from the books but her brother is a key component. I am guessing that Hannibal’s newest patient is Margo brother Mason.